We incorporated live music into our list of events, including the occasional Open Mic Night on select Thursday Evening. 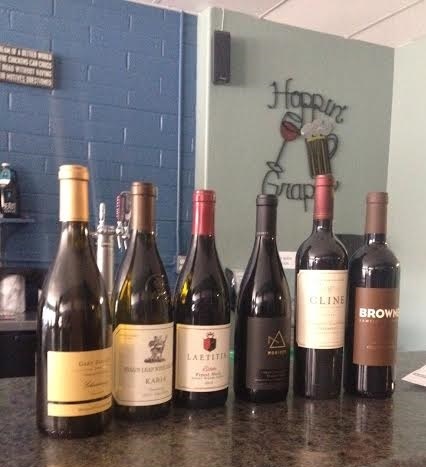 We here at Hoppin' Grapes Wine and Beer Tasting Shop have always aimed to bring good times to Sierra Vista, Arizona. With an increasing list of local artists, we hope to do just that. The shows usually start about 6:30 PM, so get here early and get a good seat. Catdaddy and Leggs have an amazing sound which works well in our Live Music setting at Hoppin' Grapes. They are a crowd favorite and really bring a great feeling to the 'Grapes. Catdaddy also has art work featured on our walls here at Hoppin' Grapes. So, stop in when they are playing to hear great tunes and chat with this talented artist too. This is a show too good to miss. It is a more intimate experience with Catdaddy and Leggs since they usually play with much larger bands all over Arizona. We are lucky to have such a class act here locally with a great venue to showcase their talents. Come out and join the fun, sing along, or just enjoy the sounds of a great duet giving you a great experience. 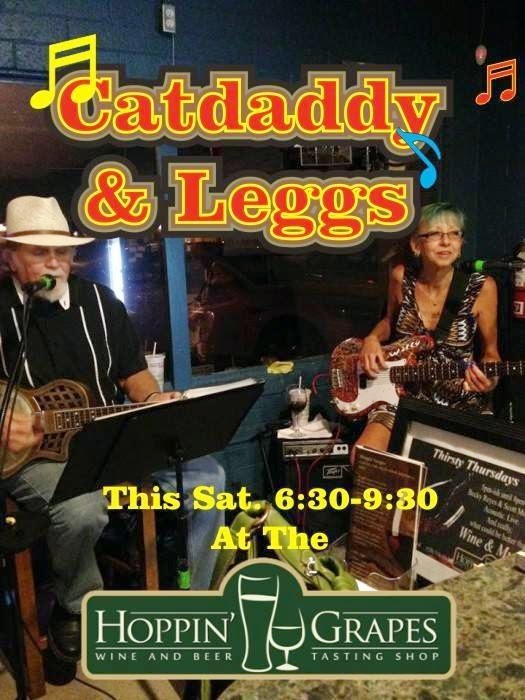 Check our facebook page for more info on when Catdaddy and Leggs play next at Hoppin' Grapes Wine and Beer Bar Sierra Vista. 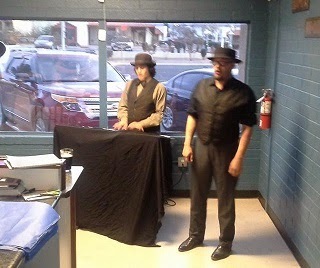 The amazing duo known as the Frytown Toughs were meant to be here in Sierra Vista! Their rag time take on modern songs will have you tickled and happy you took the time to check them out. 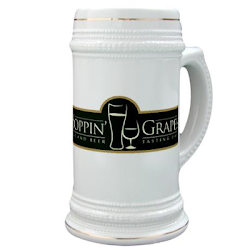 They join us again at Hoppin' Grapes just about monthly. Tin Can Tourists at Hoppin' Grapes. Here is a great blog posting about our lively venue including a review of the Tin Can Tourists! We are slowly building our loyal following and our Live Music is helping showcase great acts. The Tin Can Tourists are one of the great acts who have played all over the country but call Cochise County home. Keep an eye on our facebook page for when the Tin Can Tourists will play agian at Hoppin' Grapes Bar Sierra Vista. 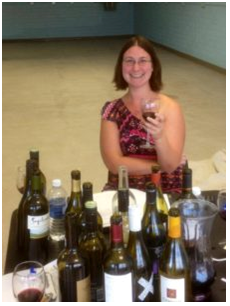 A past regular here at Hoppin' Grapes is C.J. Fletcher. His finger pick blues always left us wanting more. 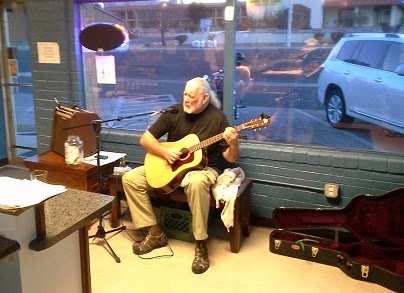 Although Fletch hasn't played in a while, you can always listen to Fletch even when he isn't playing live at Hoppin' Grapes by downloading his CD. 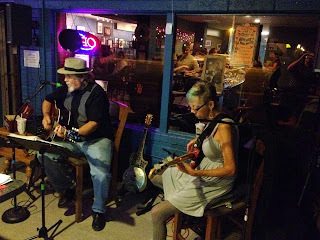 We often hosted the duo of Becky Reyes and Scott Muhleman. Their sound is amazing. 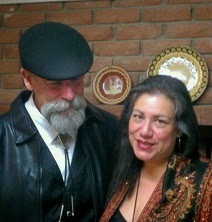 You can catch Becky and Scott in various venues around Arizona including Bisbee and Tubac. We hope to have them back at Hoppin' Grapes for a special show sometime soon. 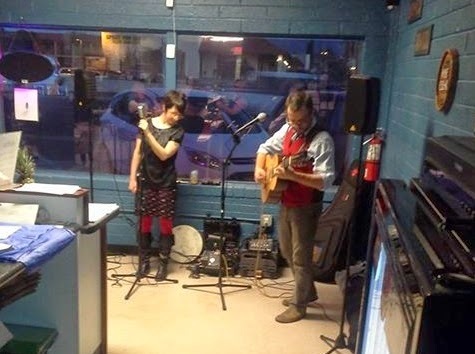 Keep your ears open for other great acts here at Hoppin' Grapes Wine and Beer Tasting Bar Sierra Vista, Arizona.